If you’d like to continue your routine with SharePoint, then you may want to skip this blog. I don’t think I had realized the impact these new features had on the way we work until I watched the sessions again. With the many innovations introduced at Ignite, I’d like to focus on their new vision in working on content within our organization. To settle down and digest the information given to us on Boards, Stories, Articles, Microsites and the Knowledge Management Portal. It’s a bold move by Microsoft and the Office 365 team and to that I say, about time! “Intelligent, Ready-to-Go NextGen Portals in Office 365” was the name of one of the first sessions available at Ignite, but what does it mean? Well, it’s time for a change. I’ve said it before and am saying it again here. In today’s technology advanced and digital workplace, with computer literate people and soon a generation practically born with devices in hand, we simply can’t close our eyes and hope for the best. And it’s not about choosing Office 365 vs On-Premises or comparing Team Sites to Groups in Office 365. It’s about being able to provide solutions to our organization’s growing technological needs and expectations in our digital workplace. Office 365 Experiences and Portals are there to provide easy to use, “pre-made” solutions using the technology already available and delivering it with today’s standards on mobility. This is a topic I have explored with some detail following Ignite, and I recommend you read it before continuing. Not because I absolutely want you to read my blogs, simply because a lot is changing right now and it’s important to step back and see what is going on. Ignite: Collaboration in a Modern Workplace Transformed. There, I also discuss Groups for Office 365 and the impact it’s going to have on the way we work for team collaboration. I just finished watching two sessions covering NextGen Portals and more specifically the new Knowledge Management experiences. You can watch them both with the links below, otherwise I have cut 20min out of them to get a quick overview of all that is changing. 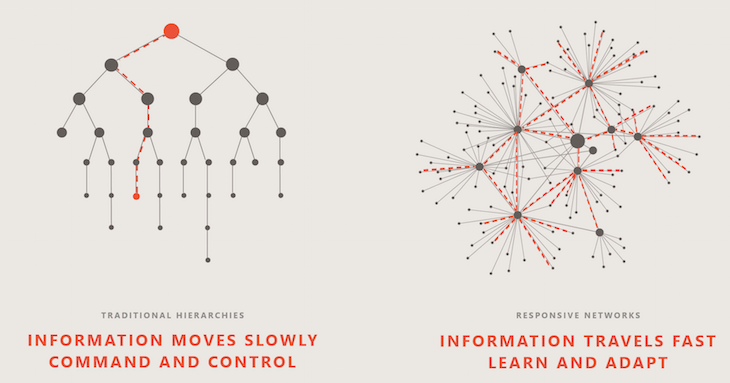 The goal here is to get away as much as we can from the top-down traditional hierarchies and move towards responsive networks. There is a ton of knowledge and expertise within your organization. People need to be able to easily create this content, share their knowledge, have others be able to find it easily and, of course, be mobile so anyone can pick it up and continue anywhere. I just came back from Ignite, how do I share this knowledge with my team? The Sharegate “sales team” wants the latest content to help them sell, where is it? One of them wants to create that content, how? And is it easy enough to do it? Where’s all the 101 information for onboarding new people at Sharegate? 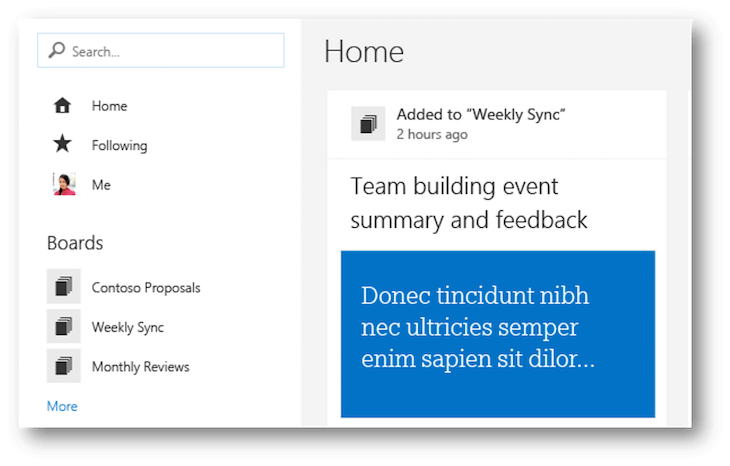 Instead of just creating a new “SharePoint Wiki” or “SharePoint Publishing Site” or “SharePoint Team Site” or the same in other products like Yammer and Exchange, they reinvented the solution. Instead, they asked themselves what do people in organizations want? As always, with Office 365 it isn’t about one specific product that’s here to solve everything. We have Delve, Groups, Stories, Articles, Microsites and the Knowledge Management Portal “InfoPedia” working together along with the Video Portal and a whole lot more to get us that perfect experience. A personal Search and Discovery tool for that “knows what and who does what” in your organization. 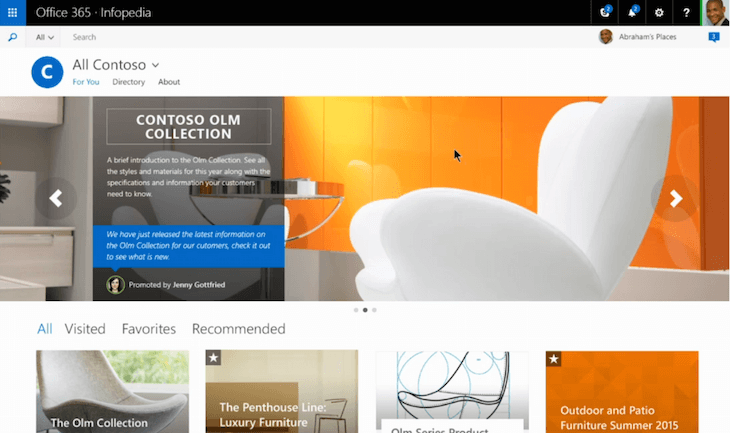 Delve has moved from mere gadget to possibly one of the most important pieces of Office 365. It first started as a basic app that used the Office Graph (the magic place where everything done in Office 365 is captured) to show you what you and your colleagues are working on. It also took many things into consideration to show you what it expected you to be looking for, at the top of the list. Now Delve is showing more and more content by grabbing more from the Graph like Email Attachments, Yammer and Videos in the Video Portal. It also got a UI revamp and now is called the “People Experience”. It provides for you and everyone in Office 365 a Profile, Communications and Activity page. And it also does the same thing for Groups in Office 365, one of the new “Team Experiences”. Now in Delve, you can select a Person or a Team (Group) and see their profile which grabs information from multiple places. You can then look at their Activity and see what they have been creating or working on rather. 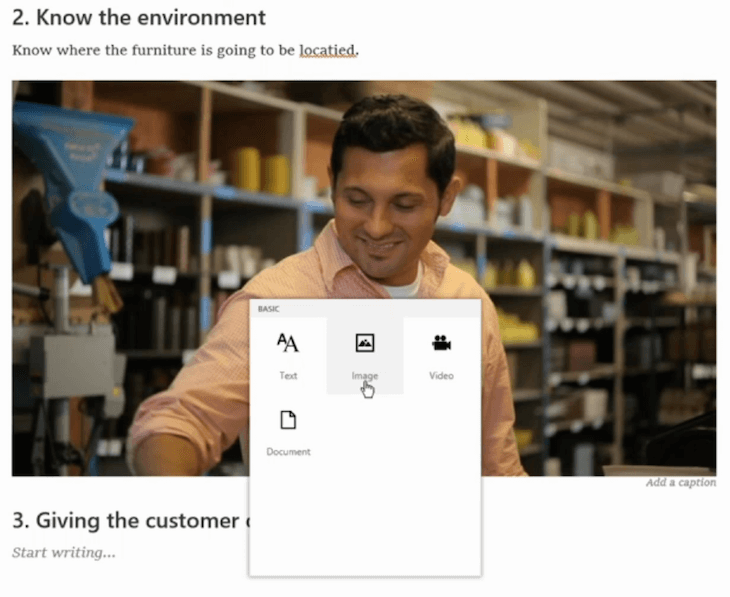 But that’s not all, people can now go to their Delve to create “stories” in a Sway-like feature that allows you to create lightweight blog posts. It’s beautiful, easy to create, and responsive so it works on all devices. Essentially, you have an interactive page in front of you. You click on buttons if you want text, image, video or documents and then you get a few options based on what you chose. Truly easy and quite pleasant actually. Alright, I’ve convinced you that these new Office 365 Experiences really are a lot easier to pick up and use. This is something your business users could definitely start adopting alongside the Groups feature to work in teams. But what about our Information Architecture? When SharePoint and Document Libraries arrived, it was chaos in the File Share world. It was too much of a big change and what about scenario A or scenario B! In turn, we saw SharePoint Team Sites often become just another File Share with a web interface. What we need is a balance between the two worlds. It has to be easy and as frictionless as possible if we want the user to actually want to use it. On the other hand, it has to comply to our business requirements and, of course, be easy to find. So Delve introduces a new concept (though very similar to Pinterest) of Boards. Boards could have been called “Tags” or “Keywords” and it would have been the same feature. As you find content, you can Tag it (add it to a Board). It’s a way to easily collect the information or knowledge created everywhere and provide a simple organization for it. Think of grouping various files and “stories” for a big meeting for example. Or it could be all the valuable information scattered across for a new employee in one place. Their vision includes extending this beyond Delve. At the moment, you have to find the content using Delve to be able to add it to a Board or tag it in other words. But it’s exciting to see that OneDrive for Business and eventually all files everywhere in Office 365 will be able to be added to Boards right from where they are. And of course, I say files… but this is becoming so much more. *Note that this is a mockup for a vision and does not represent the actual design. Imagine someone sending you a file by email that you save to OneDrive for Business and add it to a saved and shared board. Everyone following or involved in that Board automatically sees it (provided they have access to the file of course). In some ways, though I know it’s very scary for a lot of us, it won’t matter where the files actually are. Though myself, I still believe it’s important to provide governance and guidelines to help people know what to use and when. Should that file have been in your OneDrive for Business personal library or in a Group’s Files? They took an old problem and attempted to solve it again with Articles and Microsites. 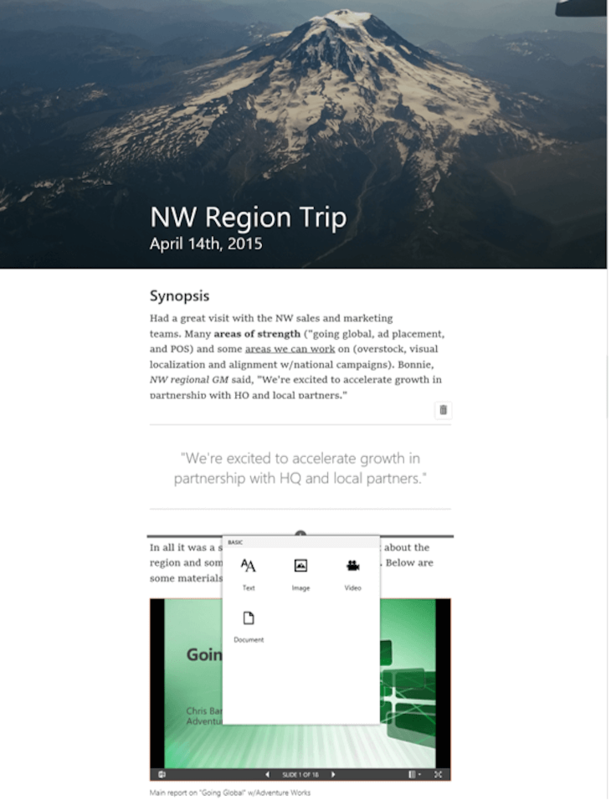 Some sort of a cross between the Wiki, Publishing, OneNote and Sway. The new Articles and Microsites allow for a more controlled and contextual approach to content creation in the form of pages. Where Delve allows you to create “stories” as a user and collect content under Boards, Microsites offer a little more structured approach. If I put it in a few words, a Microsite is like mini publishing sites that contain individual pages called Articles. Put Articles together in a Microsite and you have a magazine like experience for content that can be stored that way. For example, where in Delve I would create a “Story” on my overall feeling of what’s going on at Ignite about our industry, I would use a Microsite to provide a more structured approach in multiple pages “Articles” detailing my experience at Ignite. That's what a Microsite can be used for. Creating Articles in a Microsite is exactly like Stories in Delve, interactive and easy to use, not to mention responsive. Whether you're writing a policy, procedure, announcement, event or telling a story that will help others in your organization, Articles is the way to go. Have an event coming up at the office? Create a Microsite with different pages. Want to provide a pleasant on-boarding experience for new employees? Direct them to the Microsite with the different pages built for that. The advantage is that, once again, it’s ready to go and works on all devices. It’s also very easy to build, no SharePoint training required. Articles can be “Liked” “Commented On” “Shared” and show the number of the views for each. The details on how it all interacts and works have not yet been shared or shown, but I expect we'll see very soon. The next logical step into our more structured knowledge management is with a dedicated portal for that experience and it is called InfoPedia for now. Where Delve with Stories and Boards was the experience tailored for usage adoption, Microsites provides a little more structure. The Knowledge Management Portal, on the other hand, offers an almost Intranet-like experience ready-to-go. The idea of this InfoPedia is to provide the ultimate one-stop-shop for knowledge in your organization. From Promoted Content shown above in the slider to properly organized “sets of content” just for you. With Articles, Microsites, Documents and even People tailored to you as a user. The Portal isn't exactly the same for everyone as it'll use the Office Graph, and thus give a more personal experience. Though it has nothing to do with it, you can almost see it like the Community Portal to the Community Sites in SharePoint 2013. You can create different “Sections” under your company like “Sales” or “Marketing” and provide that “shop for knowledge” experience. Showing Microsites or Articles and almost anything else in Office 365 really. All with the power of the Office Graph to provide a dynamic and intelligent experience as opposed to a static list of sites or pages. Imagine working at a company that sells different products and being able to see all the different knowledge available for one particular product. There could be a story created by an individual in Delve with his experience with the product. Next to it, a Microsite from the Sales Team on how to properly sell the product as well as another Microsite from them with different Use Cases detailed out. And a few Boards and Microsites from the Marketing team as well… Or should I say Group? Of course, we"ll have to see all of this in action to get a real feel for it, but I am happy to see risks being taken and innovation in Office 365. We know what happens when we stay riding the wave of a successful product and though SharePoint is here for a while, I can’t imagine it without Office 365 close by anymore. Yes, you can go out and prepare an architecture for SharePoint. 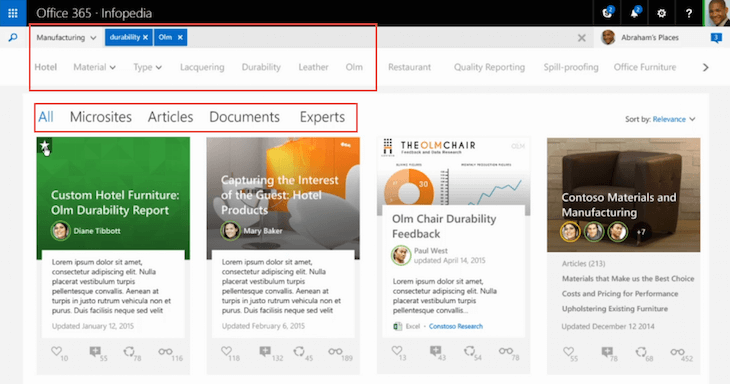 Content Types and Publishing Sites or Team Sites and Search Web Parts and all that heavy duty SharePoint stuff. Or… you can leverage some, if not all, of Office 365 to help you do more, faster and on any device with these ready-to-go Portals. Stop it! I can see you from here, in Montreal, still trying to compare it to Team Sites or SharePoint or the Wiki Pages and so on. It’s not about that. SharePoint is SharePoint, and if you want to continue building solutions for your organization or customers with strictly SharePoint, you still can. 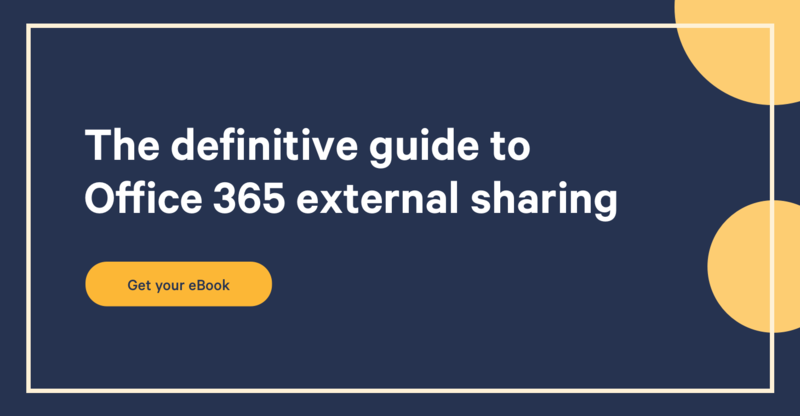 Office 365 provides you with SharePoint and also adds these Experiences to help your business users actually stay and use these tools. Microsoft has confirmed that we'll be able to use Delve with On-Premises content both SharePoint 2013 and SharePoint 2016. This has huge ramifications on what can be done with both for enterprises. If some of the data must stay On-Premises then no problem, let it stay there and for some scenarios the Team Site or Publishing Sites still may fit better. But now, all of it can be captured by the Office Graph allowing your developers or ISVs to build NextGen Portals, tailored for you and your organization with content or knowledge in both On-Premises and in the cloud. Office 365 is delivering the innovation needed to Ignite IT in this new Digital Workplace. With everything changing around us, it'd be silly to wait for the next hot setting for Content Types or Libraries. We also need to step back, look at the actual problems we're trying to solve and seize the opportunity.